Ex:Re - Ex:Re. Vinyl LP, CD. Bleep. 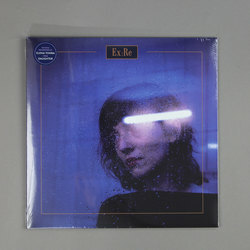 Elena Tonra takes a short break from her day job as guitarist, vocalist and lyricist of celebrated indie folk trio Daughter to release her confessional solo debut as Ex:Re. Her chosen moniker is a sly play on words, and a telling clue about the unapologetic indie rock within her self-titled album. Pronounced like ‘x-ray’, while also taken to mean ‘regarding ex’, this is Tonra’s most personal record to date, documenting the inner turmoil of a break-up in the 21st century.